So just what is “literary” fiction? Many refer to literary novels and short stories as “serious” fiction. Everything about literary novels seems a little larger or a step up: big ideas and underlying themes that transcend plot; complex, in-depth characterization; prose that is both technically excellent and beautiful; writing that may reflect innovative craftsmanship and experimentation; longer length; and premium printing and presentation quality. Unlike the writers of genre novels, literary fiction writers are not required to follow particular conventions or rules, but their works must reflect such common characteristics and high standards. These are the novels that are awarded or aspire to the big literary prizes–the Nobel, the Pulitzer, and the Man Booker among others–and the short stories that are published in respected literary magazines, contained in anthologies and win contests. The novels debut in hardback, with cover designs that are artistic but subdued, often symbolic, and the sometimes elegant fonts fill as many pages as the author needs to meaningfully convey the story, perhaps several times more than the less than three hundred pages considered maximum for books classified as commercial genre fiction. Literary novels tend to be about abstract ideas, often universal themes that are weighty and have layers of nuanced meaning, such as questions about life and death, good and evil, ethics and morality, cultural evolution, or human consciousness. Emphasizing philosophical, psychological and emotional factors–the whys of human behavior–these stories are more character-driven. Plot is essential, but is more subtle, with much of the action inside character’s heads rather than merely shown in what they say and do. As a result, the tone is more serious, introspective, and may be dark. The prose sets literary fiction apart as well. Above all, the style and execution must be excellent. These are the authors said to have “a way with words,” the novels described as “finely crafted,” with language that is “lyrical” and “poetic.” Imagery is often painted in rich, sensual and vivid terms and nuanced character’s internal states and layered meanings may be described over pages rather than sentences. Fiction writing that is considered “experimental”–when, for example, basic rules of grammar or structure are broken and new approaches taken–is a sub-genre of literary fiction. Anything goes–as long as it’s done well. While fans of popular genre fiction might feel bogged down in such books, desiring more action and less complexity, readers of literary fiction both expect and demand it. They’re knowledgeable, too, often students of literature appreciation courses and even university fine arts master’s programs. These readers are fewer in number, however, so while literary novels are the ones with stickers on their covers proclaiming big prizes they are not necessarily big sellers. That’s a shame, because although reading these books may require more time and reflection, doing so can be transformative, raising powerful questions and leading to meaningful insights and understanding about ourselves as individuals or the world we live in, past, present and future. There is a reason why “classics” such as Tolstoy, Dickens, and Hugo have not lost their power. Many of today’s literary fiction works deliver profound, lasting messages as well. You can find them on the A to Z fiction shelves of your local library or bookstore, along with “mainstream” fiction–the subject of my next post. 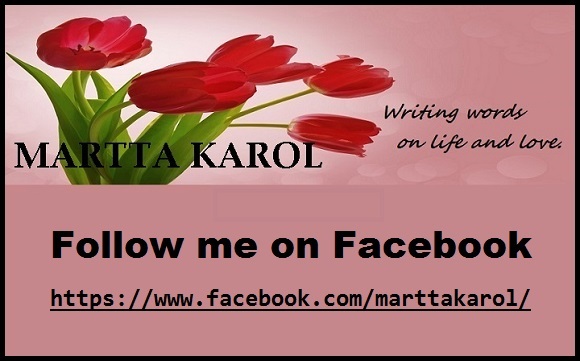 This entry was posted in About Writing and tagged fiction, fiction classifications, genre fiction, genres, literary fiction, mainstream fiction, novels, writing a novel by Martta Karol. Bookmark the permalink.